To inspire our clients to live their financial lives by design, not default. A straightforward, transparent and competitive fee structure. Work closely with your other advisors to bring the best possible solutions to you. 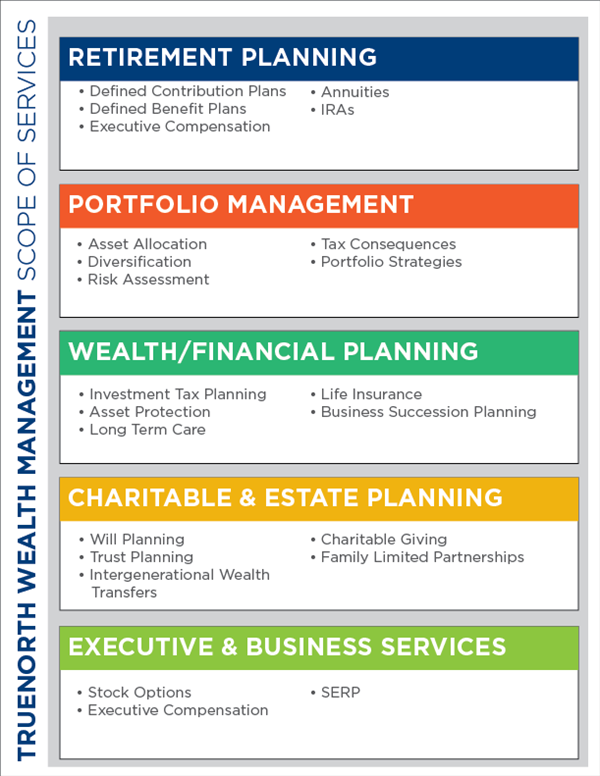 An experienced team of investment and financial professionals, several of whom hold the CFP, ChFC, and CLU designations to show their commitment to excellence in financial planning.